Nefunguje / funguje nesprávně. Customer quotes: Engine jerks at around 3 000 rpm when there is a demand for power. Cannot determine exactly when, but most probably not when engine has full operating temperature. Za jiných podmínek. Cannot be determined. 1. 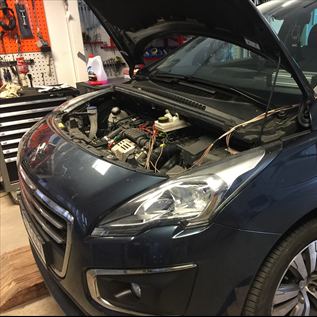 Fuel injector replaced on one cylinder (not documented which one) at authorized Peugeot dealer. 2. In less than a year a spark plug electrode was burnt off/broken on cylinder #1, causing damage to valve seats. Pro zobrazení tohoto obsahu nemáte oprávnění. V případě potřeby nás kontaktujte.